Taken in the LFL in front of the Avenue de Saumur, in La Baule (France - 44). "Elinor Mackey has always done the right things in the right order -- college, law school, career, marriage -- but now everything's going wrong. After two painful years of trying, Elinor has learned that she can't have children. All the doctors can tell her is that it's probably because of her age. 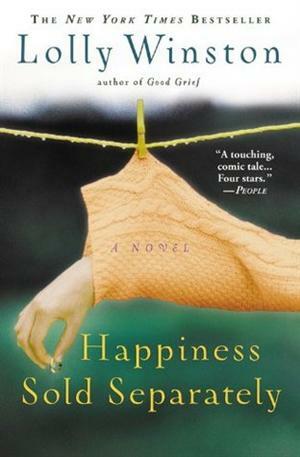 As she turns forty, she withdraws into an interior world of heartbreak. Elinor's loving husband, Ted, a successful podiatrist, has always done the right thing, too. Then he meets the wrong woman at the wrong time, and does the wrong thing. Ted's lover, Gina -- a beautiful and kindhearted nutritionist -- always eats the right thing, but is unlucky in love and always falls for the wrong men. Soon Ted has to fight to make everything right again. Can Elinor and Ted's marriage be saved? The answer is alarmingly fresh and unexpected as New York Times bestselling author Lolly Winston introduces us to characters as memorable as those of Anne Tyler and Nick Hornby, but who are indelibly all her own." Not a bad story, but I found the characters a bit annoying, never knowing what they wanted. 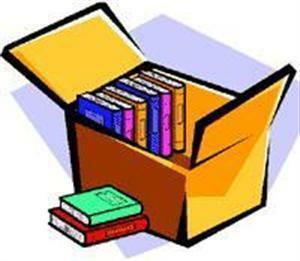 Taken in the bookbox n°5 ! Easy to read but I didn't really get in the story. 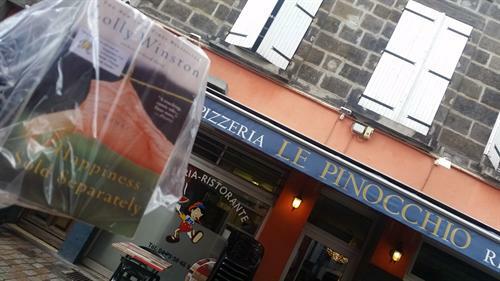 J'espérais qu'il y aurait des "Happy hours" pour libérer mon livre "Happiness sold separately" mais à la Pizzeria Pinocchio, c'était plutôt l'heure du pilipili à mettre sur les pizzas... Malgré la pluie battante, je l'ai laissé en ce PI day en croisant les doigts pour qu'un gourmand l'attrape au passage.